Are you frustrated with the complacency in the world around you? Does it feel like the system is rigged to give some people all the breaks while you’re stuck treading water, no matter how hard you work? Are you upset with a government that doesn’t actually listen to its people, and act accordingly? These are sentiments that have been tackled often in film. After all, frustration is a powerful motivator. Everyone can enjoy a movie where corruption gets what it deserves. Everyone enjoys characters who fight back against the inequalities they experience. This is a list of the ten films which I believe best encompass those sentiments. Of course, all anti-establishment films are not equal. To make it on this list, a film has to have a plot where the characters are actively working against a powerful organization, such as a government. The bigger the organization, the more that is at stake, and the more it applies to the real world, the better. You see, when ranking these films, we also have to take into account their legacy. If an anti-establishment movie is effective, it should have an influence outside of the the theater – at the minimum either influencing future works or else becoming an inspirational staple in pop culture. Without further delay, here are my picks! One of the most famous counterculture films ever made is Easy Rider. I thought about including that film on this list, but then I realized that Easy Rider was part of the New Hollywood movement and its iconic status owes a lot to the films which established the movement. 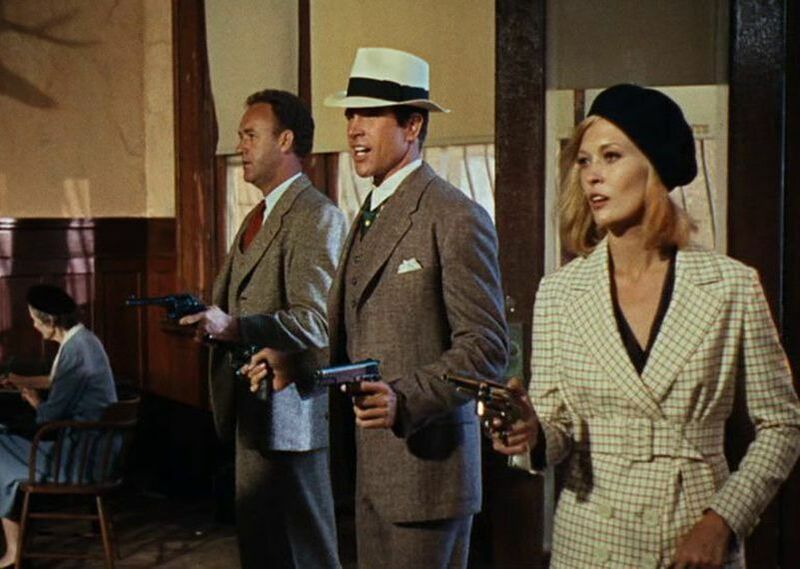 Films such as Bonnie and Clyde which not only had an anti-establishment plot, but also broke many of the censorship rules for filmmaking at the time. This is a mainstream film whose controversial use of violence would set the stage for darker, more realistic cinema for the next 50 years. It also served as a sort-of rallying cry for the Baby Boomers who were establishing their own voice in the world as they came of age. And so, Easy Rider is a great Anti-Establishment film, but Bonnie and Clyde was an even better one. Speaking of films which made a statement on and off screen, Martin Scorsese’s fifth feature film is one of the most powerful ever made. In contrast to the youthful attitude of early New Hollywood pictures, Taxi Driver is set in a world full of let-downs and decay. It shows disillusionment with the way the world operates and a character who is increasingly aggravated because of his inability to fit in or to do anything about it. De Niro’s character is stuck in a fight against society’s norms – a fight he will not win. As a Vietnam war veteran, his angst and loneliness make him an anti-hero fueled by intolerance and misunderstanding. Despite some good intentions, his beliefs cause him to act out in all the wrong ways. As an audience, we don’t cheer for him in regards to how he decides to gain retribution. Instead, we feel a disgust for the complacency which has created the dark, harsh, and unrelenting world that has caused his anguish. Teenagers are known for being rebellious, and this film is a great representation of that sentiment. It does a great job of depicting the internal and external conflicts that make growing up so difficult. Taking place at a catholic boarding school, the rigorous and strict external confides of “the establishment” are ascertained early on. We also are introduced to a group of older boys who treat their younger classmates as essentially slaves. Cast between this rock and a hard place we have Mick Travis, a bored hoodlum who is inspired to take action and change his predicament with raw force. It’s a surreal adventure that becomes increasingly disturbing, culminating with an ending that rings far too close to the truth these days. For modern audiences, one of the most well-known anti-establishment films is V for Vendetta. Based on a graphic novel of the same name, it is consistent with the current fascination of dystopian fiction. Dystopian fiction has become something of a sub-genre in popular cinema as of late, including franchises such as The Hunger Games, The Maze Runner, and Divergence. Of course, V for Vendetta isn’t solely responsible for the increased popularity of this type of story, but it was among the first to bring them into the mainstream. Because of the film, the original graphic novel has become popular, and much of the imagery and symbolism has become ingrained in pop culture. 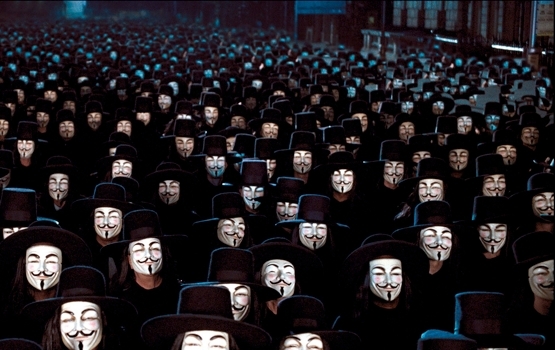 Guy Fawkes masks, for example, have since become representative of popular protests and are often seen being worn by protestors in the real world. This film is one of only three films to have won the Big Five Academy Awards – Best Picture, Best Director, Best Actor, Best Actress, and Best Screenplay. This achievement alone speaks of the film’s critical acclaim as well as its legacy. The film is based on a novel of the same name, and the interpretation works as an analogy of cultural confrontations in the post-Vietnam war era. 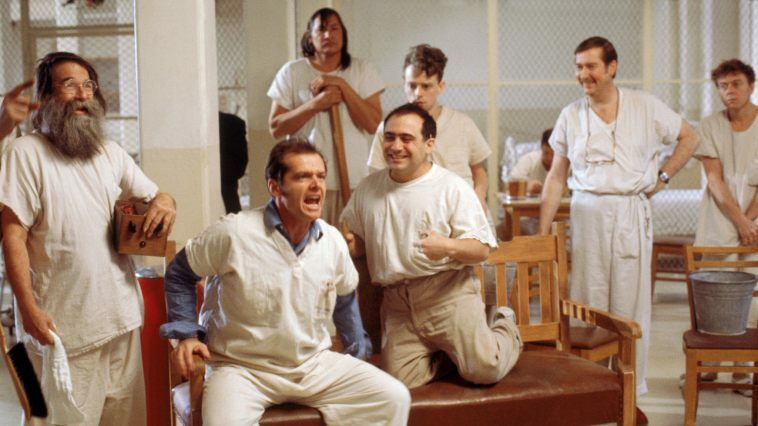 Jack Nicholson’s character is the one acting out, challenging the established doctrine that seems to limit and restrain his fellow asylum patients. It’s the idea that the “system” is telling you there is something wrong with yourself, and in order to be cured, the only way is to eliminate or circumvent the “system”. So biography films aren’t very anti-establishment on their own, but when you have a film that tells the life story of one of the most famous civil rights activists in the history of the entire human race, exceptions can be made. There have been many films made about revolutionary figures in the past, but this one stands above them all. Ghandi is such a powerful figure because of his embrace of peace and understanding as a method to bridge the gaps between people in opposition. It’s one thing to cheer on a character who fights oppression, but Gandhi takes an arguably more more sophisticated approach to challenging establishments such as the British rule of India, racism, and religious conflict. The film itself is rather asteer, focusing solely on a spellbinding central performance by Ben Kingsley. It is a fascinating watch, and the subject matter is among the most powerful ever to grace the big screen, thanks in part to it being (mostly) real. On the opposite spectrum from Ghandi in terms of realistic films is The Battle of Algiers. This is a film that centers around violence and brutal conflict. Filmed in documentary style, it has a more realistic, and thus more impactful viewing experience. It’s not an easy watch, and that is exactly the point. This is a film that depicts a harsh reality where people partake in guerilla warfare to try and obtain their freedom. It’s a terrible predicament that only gets worse. The film also examines the ruthless tactics used to combat the revolutionary activity by the French government. It explores both sides with equal footing, which not only blurs the distinction between what’s right and what’s wrong, but depicts the true cost of freedom with haunting realism. The second science fiction film on this list is also based on a written media. This one is also set in a dystopian future, but unlike V for Vandetta, the main character isn’t trying to make a difference. He’s not fighting the establishment for the sake of making the world a better place for anyone else but himself. Alex is motivated by selfish needs and the thrill of manipulating other people for his own gain. I think that is what makes A Clockwork Orange one of the most effective anti-establishment films. Fighting for freedom or to overcome inequality and oppression is certainly understandable, but it isn’t necessarily a universal experience. Alex, as an angsty teenager who acts out simply because he doesn’t want to be told what to do, is more of an everyday occurance. 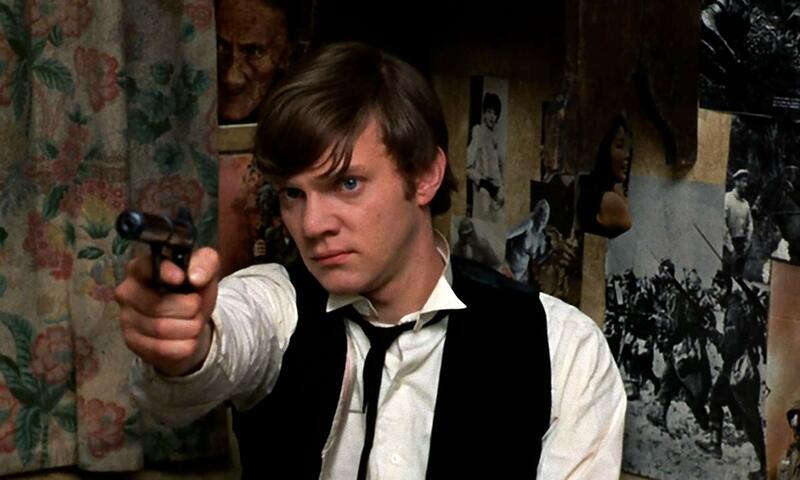 This focus allows A Clockwork Orange to dive deeper into the psychology of violence and repression. It explores how external conflict between people can often be traced back to an internal conflict inherent in us all. Speaking of internal conflicts…. When Fight Club was first released, it drew a lot of parallels with A Clockwork Orange. Here was a film that seemed to champion violence and crime. In general, people weren’t sure what to think. Frankly, they were shocked. And just like A Clockwork Orange, the film’s profile has increased significantly since its release. Today, it can be considered one of the most popular and influential cult films ever made. The film’s popularity has risen due to a number of factors, including the popularity of the cast, popularity of the source material, the uniqueness of the presentation, and the technical execution by director David Fincher. But at its core, Fight Club is one of the most important Anti-Establishment movies ever made because it explores the struggle between societal expectations and the needs of the individual. 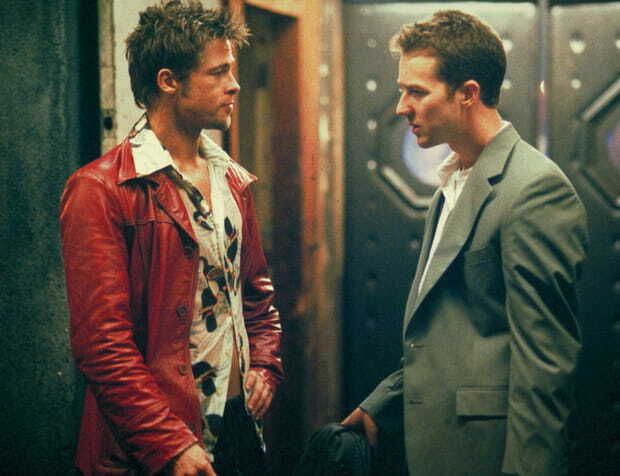 Fight Club reflects the modernization of our world where the embrace of materialism and technological development is forcing us to lose our “humanity”. This is a faceless, invisible, and ever-growing enemy, which is what makes it all the more fearsome. If the last four films on this list have something in common, it is that they all shocked their audiences with their depiction of violence. Although Ghandi is an important exception to the rule, the best anti-establishment films utilize violence as a form of expression. Battleship Potemkin is a film that arguably makes the greatest use of violence in all of cinema. The entire film is one long montage of action, terror, and struggle. It was created as an experiment by the Soviet revolutionist film school, to try and use film editing to maximize the emotional response of their propaganda. The effect is heart racing, overwhelming, and incredibly effective. The unrelenting nature of the presentation doesn’t give you time to contemplate – there is only a raw, uncontrollable emotion that emerges. It riles you up and makes you angry. The film’s artistry also evokes a strong affirmation to its purpose. Both startlingly realistic and hauntingly beautiful, it is difficult to look away. The greatest anti-establishment movie ever made also happens to be one of the greatest films ever made.